Horizontal directional drilling is called for short HDD, is a steerable trenchless method of installing underground pipes, conduits and cables in a shallow arc along a prescribed bore path by using a surface launched drilling rig, with minimal impact on the surrounding area. HDD is used for installing infrastructure such as telecommunications and power cable conduits, water lines, sewer lines, gas lines, oil lines, product pipelines, and environmental remediation casings. Horizontal directional drilling is different with oil and gas drilling, water well drilling, etc. vertical drillings. So the mud process system or solids control system will be different also. The HDD mud process is called recycling since its point and issue is to recycle the drilling mud. After processed by mud equipments, some of drilling mud will be used again and some of waste subject will be treated accordingly or delivered to certain place for other application. HDD uses a drilling rig on the surface to install a drill pipe in a shallow underground arc. The drilling rig bores a pilot hole that’s filled with fluid and then uses a swiveling reamer to enlarge the hole to the final sewer pipe size. Sewer pipe is then pulled through the hole. 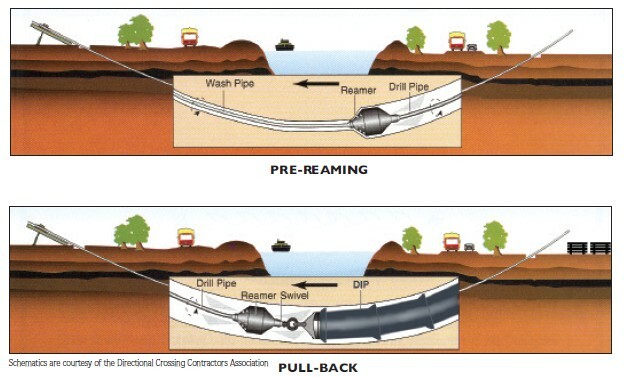 Directional drilling often needs a large staging area so the pipe can be lined up before it’s pulled into the hole. Mud cleaning system always contains shale shaker, mud cleaner, centrifugal pumps, mud agitator, mud tank, jet mud mixer, submersible slurry pump, electric control system, lighting system, ladder, slide walk, handrail valve, pipe line, clean gate, etc. As a professional manufacturer, DC provides a complete line of drilling fluids, solids-control and drilling waste management equipment and services for HDD, Mining &Waterwell. 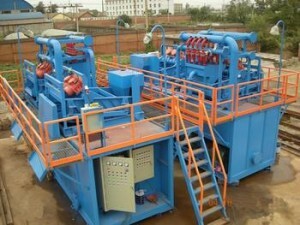 DC Machinery can provide mud recycling system for following HDD rig. Including 45~60T rig, 100T rig, 200T rig, 300T rig, and 450T rig. We can match our mud system for Varmeer rig, DRILLTOOL rig, and etc. many brands HDD rig. 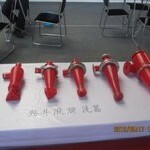 The treating capacity can be from 200GPM~500GPM. If you are interested in HDD mud cleaning system, please contact us freely. Usually the cone diameter is more than 6” is called desander. 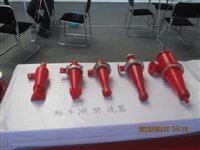 We commonly used 8” and 10” cones deander to separate solid-phase particle size 44-74μm in the drilling fluids. 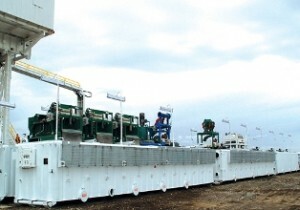 The desander should be located downstream of the shale shakers and degassers, but before the desilters or mud cleaners. DC Machinery as a professional manufacturer of solids control equipment, supply high quality CSQ series Hydrocyclone desander. CSQ Hydrocyclone desander is designed by the principle of particle sedimentation, the drilling fluid enters into inwall of swirler, the thicker particles spiral sinking with the action of centrifugal force and gravity, discharged from bottom exit, and separated by shale shaker, the other liquid spirals along the swirler, enters into the third-level separation equipment – desilter from overflow port to dispose further. Tangshan Dachuan Machinery has overcome the disadvantage of the original manufacuture technology, produced a new style hyrocyclonic desander based on the thoery of particle sedimentation. Combined by the 10″ or 12″ swirler and pipes, the operation and maitenance is much easier. Used the abrasion resistant special polyurethane which is corrosion resistant, anti-scouring and has a long life. Put the materials into machine along the tangent line of the inlet hole, the transition is smooth and is in favor of increasing separation efficiency. The separation range is large. The bottom flow hole of hydrocyclone discharges the sand particles as an umbrella and the wet discharging can make the particles be dischaged quickly to avoid the block of bottom flow hole. The symmetrical inlet structure makes the allocation more reasonable and the work stable. The bottom flow hole can be adjusted to control the handling capacity to match the different requirements. According to the clients’ requirements of the handling capacity, the desander can be made up by several groups of hydrocyclone. DC Hydrocyclone desander is one indispensable device for stabilizing and adjusting the drilling fluid technical parameters. It can be used together with the sealed circulatory system of the drilling fluid. Any interest or questions please contact us freely. 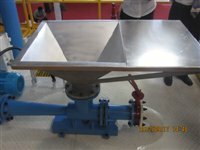 Decanter centrifuge is also called decanting centrifuge or centrifuge decanter. Different clients or users will have different names on it. 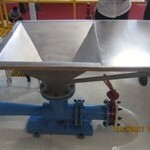 Its working principle is to separate different size/density/weight object after centrifuge bowl rotating at high speed. 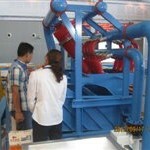 Usually, we have two phase and three phase centrifuge. Furthermore, we have middle speed centrifuge, high speed centrifuge, as well as VFD high speed decanter centrifuge. As per different working condition, we can choose differential centrifuges. Since different speed centrifuge will realize different result and achieve different performance. The decanter centrifuge is used to separate solid and liquid in the rotary drum completely. It is mainly composed of rotary drum, screw conveyor, a differential case and motors. The rotary assembly is mounted on the two main bearing housings horizontally. The screw conveyor is installed in the rotary drum wiht deep groove ball bearing and tapered roller bearing. The main motor is connected with the fluid coupling by bell wheel. The differential casa is mounted on the left shaft of the bowl and is connected to the screw conveyor with mating splines. The main motor drives the fluids coupling and then drives the screw conveyor while the secondary motor drives the differential case. Development Trend of Decanter Centrifuge is high rotate speed, large capacity, high reliability and automation. High rotate speed is rotate speed of roller can reach above 2500r/min, separation factor can reach up to 1200~3000, and can eliminate the more fine particles, separation point can as low as 2~5 micron. Large capacity is continue to increase the capacity of existing centrifuge, when the capacity is larger than 40~50m3, the decanter centrifuge can eliminate the harmful solid phases quickly in the drilling fluid. From the view of reflect, the centrifuge with large thruput, frequency control is needed, so that can add weight drilling fluid and dispose the no weighted drilling fluid. This kind of centrifuge can be called all-round centrifuge. TangShan DaChuan Machinery does many modification and innovation on the details for increasing the thruput and enhancing separation effect. The DCGLW series decanter centrifuges are produced by TangShan DaChuan Machinery, the following is the technical parameters. 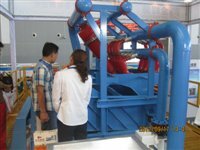 If you are interested in decanter centrifuge, please contact us freely or enter in our website. Drilling mud process system can be widely used in many industries. 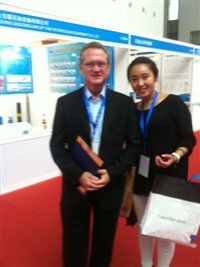 Including O&G drilling, HDD or trenchless, CSM exploration, shielding, pilling, underground industry, tunnelling, mine exploration, etc. Drilling mud, also known as drilling fluid, is a product which is used in the process of drilling deep boreholes. These holes may be drilled for oil and gas extraction, core sampling, and a wide variety of other reasons. The mud can be an integral part of the drilling process, serving a number of functions. In general, drilling mud process system includes shale shaker, mud cleaner, decanter centrifuge, centrifugal pump, degassers, mud agitator, mud mixer, mud tanks, etc. DC Machinery drilling mud process system products including shale shaker, high speed vibrating screen, mud cleaner, hydrocyclone desander/desilter, vacuum degasser/gas buster, drilling mud decanter centrifuge, drilling mud centrifugal pump, mud mixing pump, mud agitator, mud mixer, poor boy degasser/mud gas separator, flare igniter, shear pump, submersible slurry pump, mud gun, mud tank, spare parts for mud equipments and system. The system has humanized whole layout, beautiful appearance, strong adaptability, modern design, rational layout, perfect performance and the advanced process. The system has a good performance of cold-resistent, thermostability, anti-explosion, anti-leakage, anti-corrosion, rain-proof, adapt to wicked condition of well drilling. There are medium pressure mud pipelines and rinsing pipelines on the top of the tanks. Behind the tank, there is a pressure flagstaff sand clean door, it is expedient and neat to open. To use the hard links between the tanks, it is convenient to install and dismantle, has a good scalability. The positioning is accurate, the connecting is rapid. The purification level of mud is high and the effect is good, the measurement of mud is accurate. The tanks are made of the corrugated boards of V type, the entirety rigidity is good and the appearance is beautiful. The surface was processed by sandblasting, the in-tanks was painted the heavy anti-corrosion pitch, and outside of the tanks was painted the oil-proof alkali corrosion–resistant paint. Meet the requirements of moving the drilling crew and installation frequently. The system can be designed according to the customers’ requirements. If you have any questions or and needs, please contact us freely. Welcome to our company website. 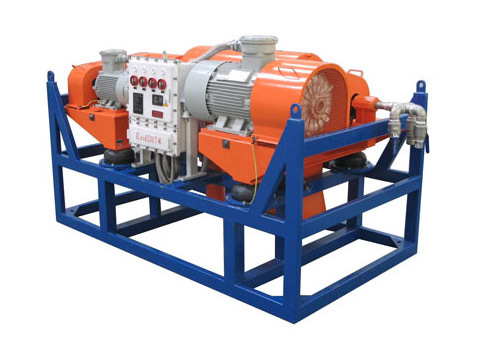 The shale shaker produced by Dachuan Machinery has absorbed the advanced technology of design and manufacture, the structure has been optimized, therefore can clean the harmful solid phases in the drilling mud effectively and guarantee the high-precision recovery of drilling fluid. It is the most cost-effective product in domestic. Dachuan Machinery can produce all kinds of shale shaker with different sizes and types, can meet the requirements of different handling capacity and installation sizes. Also, Dachuan Machinery can produce duplex or triplicate shale shakers according to the actual requirements of clients and supply the pipes. DCS series shale shakers are the new type shale shakers produced by our company, they are the first-level solid control equipments in the mud cleaning system, to separate drilling cuttings from drilling fluids. In order to supply the excellent shale shaker with high screening accuracy, low-energy and no dust pollution, Dachuan Machinery controls the quality in each procedure. To guarantee the durable structure of the shale shaker, the material is the GB steel from Beijing Shougang Company Limited, Shanghai Baogang Iron and steel Co., Ltd. and Tangshan Iron and steel Co., Ltd. The used vibration motor is from the Italia joint venture Company named Oli. The motor has much advantage, like high strength vibration, large screening size, adjustable screen box angle, little noise, excellent performance and high efficiency. The whole screen box has been heat treated, and there is anticorrosive coating on the surface to keep a long life of the shale shaker. The area of shaker screen and handling capacity is large, the treatment effect is excellent. Use the full adhesive edge hooked rigid shaker screen and plate closed fixture, it is convenient and easy to change the screens and can be changed into many kinds of screens. Design the height of storage tank on the shale shaker reasonably to make the fluid buffer and flow, reduce the impaction by the fluid on the shaker screen, then extend the life of the shaker screen. Using thermal relay overloading and open phase protection of electric control cabinet to guarantee the safety of the operators. Welcome to our company website,if you have any questions, please contact us. The degasser is used to clean up the gas in the drilling fluid, ensuring the performance of drilling fluid relatively stable and the proper functioning of swirler. It is the second level equipment in solids control system, and it will be set between shale shaker and mud cleaner /desander. The vacuum degasser is a high-efficiency in-line module that removes dissolved gases from HPLC solvents. Its unique design assures reliable continuous operation and the highest level of continuous performance available without the need for helium degassing. Up to five solvent lines may be degassed simultaneously by one unit. The extremely low internal volum of each Teflon AFchannle offers very quick equilibration and very short startup times compared with PTFE degassing channles which have the same degassing efficiency. ZCQ series Vacuum Degasser is a special-purpose device and a new type one for the treatment of gas in the drilling fluids. It can separate various gas in drilling fluid. Meanwhile, it will recover mud weight efficiently, keep drilling fluid property steady. 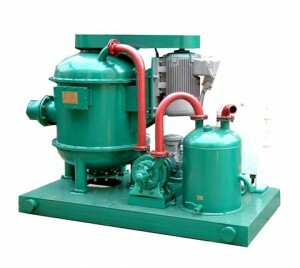 Vacuum degasser also can be used as big mud agitator, and adaptable for various mud system. ZCQ Vacuum Degasser is produced by DC Machinery and is one of the most important Equipments for Solids Control. 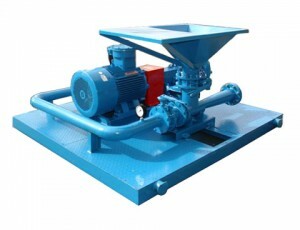 The vacuum degasser design of the structure is scientific and rational. So we are able to achieve an effective gas-liquid separation, filter out impurities and to ensure that the exhaust pipe is always smooth. ZCQ vacuum degasser has many features, which includes compact design, high performance/full vacuum, vacuum pump mounted together with degasser vessel, internal impellers, vertically-mounted units, without feed pump. If you are interested in high quality vacuum degasser, please let me know, welcome to our website. Shaker screen types will be divided into various types according to different standard.Totally including flat screen, pyramid screen, steel fram screen, soft/hard hook strap screen, composite screen, PU screen, etc. Furthermore, shaker screens also divided into single layer, two layers and three layers screens. 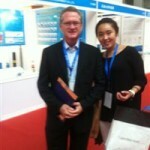 Then, subject to shale shaker screen mesh size including common mesh screen, fine screen, super find screens. We have all types screen for sale. The flat or PMD, the hook striped or wedge clamped. DC Machinery short for TangShan DaChuan Machinery Co.,Ltd. 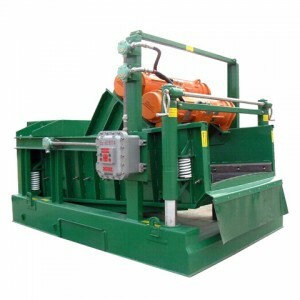 China’s leading manufacturer in regard to shale shaker screen as well replacement screen for all types of shale shakers in the oilfield drilling industry, produces high quality shaker screens, including above listed brand and model. The price is rather competitive with reliable quality. The usable life is variable as per different working condition or mud property. However, commonly, it can be used 10-14 days. And the price is very reasonable and cost-effective. If you are interested in shaker screens, please enter in our website. Especially when happen to blowout, you need to confect and make up weighting material evenly at short notice, so the equipment must be used. 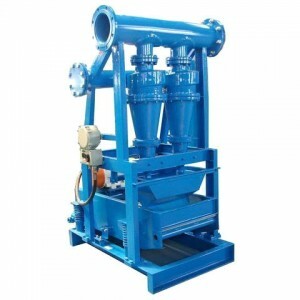 Jet mud mixer is a kind of equipment which matching with petroleum drilling solids control system, using it to satisfy drilling fluid of weighting and preparation. DC Machinery is a professional manufacturer of solids control equipment in china, SLH series jet mud mixers are produced by DC Machinery. If you are interested in it, please contact us, we will provide high quality jet mud mixer, and good after-sale service. The following is the technical parameters of jet mud mixer. The 5th China (Dongying) International Petroleum and Petrochemical Equipment & Technology Exhibition started On September 17. Our company TangShan DC Machinery joined in it. Manufacturers of home and abroad showed their best products on the exhibition, we talked with each other about solid control and shared personal experiences. I have learned a lot from this exhibition, and looked the other solid control equipments. I talked with the foreign merchants, they are all friendly, I hope we can establish trading relations between us in the future. 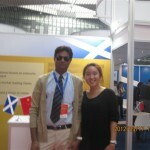 The following pictures are the foreign merchants with me. Next exhibition-the 13th China International Offshore Oil & Gas Exhibition, we will join in and show our solid control equipments, high quality, good service. DC Machinery is a professional manufacturer of solid control system equipments in china. We will provide our client high quality products with most reasonable price, at the same time we also sincerely offer the high level after sales service for any home or abroad clients. We still adhere to the concept of creating the maximum values and the satisfaction for our clients. 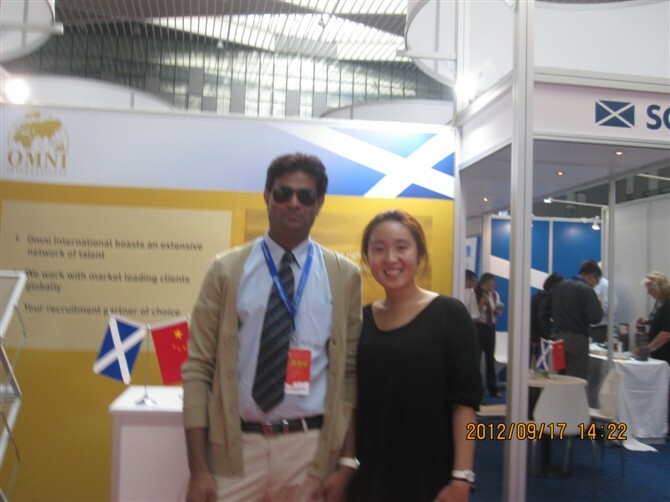 The following pictures are the products which showed on the exhibition.